Sitong Kurseong, Sightseeing in Sitong, Best time to visit Sitong, Orange Village of Kurseong. Surrounded by luxuriant orange orchard is a new found jewel of North Bengal called Sitong. 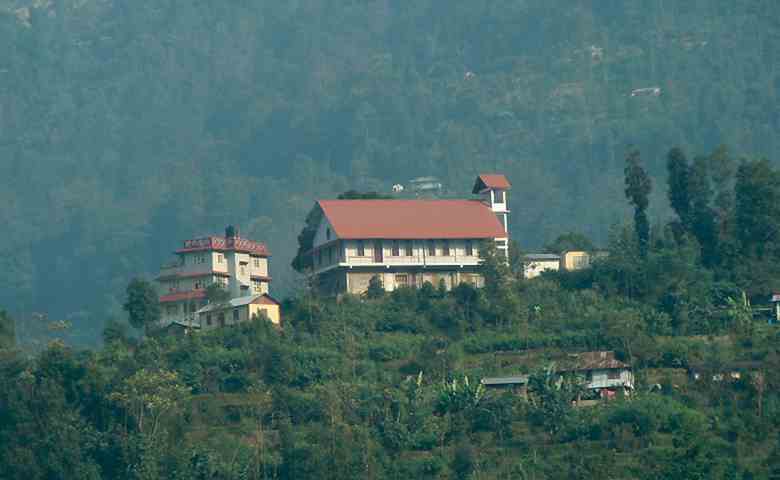 Also known as the Orange Village, Sitong is a quaint Lepcha Hamlet. Tucked amidst the alpine pine forest, Sitong is an offbeat destination near Darjeeling. Perched at an altitude of 4000ft, Sitong with its serene ambiance and calm weather has become an ideal destination to escape the scorching summer heat of plain region. Sitong with its mouth watering oranges and surreal view of Mt Kanchenjunga has enthralled the mind of many travelers. Tourists can make a day trip plan to visit places like Dilaram, Kurseong, Latpanchar, Mungpoo, and Mahananda Wildlife Sanctuary while staying at Sitong. All these places are located within 20km radius from Sitong. People visit Sitong to enjoy the serenity of nature. Visitors can stroll around the village and go to the Sitong view point located near the church to get the panoramic vista of lush orange orchards. The oranges of Sitong attract many different bird species making it the birding paradise for avid birdwatchers. While traveling towards Sitong tourist need not worry about their accommodation. Here in Sitong, the church guest house has been renovated with modern amenities for the visitors. There are also few homestays in Sitong. In Sitong visitors can enjoy the fresh organic vegetables. There are three ways to reach this scenically blessed Lepcha hamlet. First is from Siliguri-Sevoke-Latpanchar. The distance between Siliguri to Sitong via Latpanchar is 55km. The second route is from Siliguri-Rambhi-Mongpoo. The distance between Siliguri to Sitong via Mungpoo is 78 km. The last route is through Kurseong-Dilaram-Bagora-Ghareytar. The distance between Kurseong to Sitong via Ghareytar is 75km. The last route is the steepest route. Blessed with temperate weather, Sitong can be traveled throughout the year. But winter season (November to December) is the best time to visit Sitong if travelers want to see the valley sprawled with ripe oranges.